It was nice feeling about the rough magnetic tile in the bathroom. This review is about item#63396944. Used as a masking tape when sealing glass, sash. Good adhesion to rough surface and roughened surface, adhesion is moderate so it does not seem to peel off to the painted surface of the base. This review is about item#10261291. The adhesion force seems to be a little weak. I want a tape that sticks a little stronger. This review is about item#35091357. Frp work, paint lacquer etc. It is natural that it faces the roughened surface, but when it is used for the paint cutoff, the usual masking tape is paint escaping to the gap if it is not scratched by stuffing the overlapping portion of the sharp corner tape etc, but this is a finger You can stop paint bleeding of the step in the overlapping degree to the extent that it suppresses it. This review is about item#35079983. It is more powerful and very easy to use than yellow masking. It's made by 3M. It also comes in handy because it covers areas with rough surfaces. Even after long-term standing after pasting it does not come off. Even with long-term storage, there is no adhesive residue. This review is about item#35081645. There is no problem peeling firmly even on uneven surfaces. 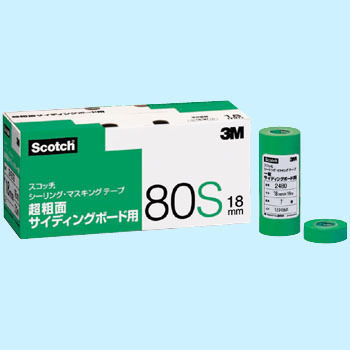 Curing curing · Kibu curing tape etc. Last time, I was glad to use it, so I ordered again. It is different from what I used to date. I will also use it next time. It has good strikes against the rough surface and it can be used for a wide range of work. Although there are people who use different kinds for different purposes, inventory management is troublesome. I am using it even for internal work. We tried almost all the products of other manufacturers, but it is often broken when peeling off, and workability is bad. Because of the weakness of the tape weakly because of the strength of the adhesive strength, it was hard to peel off. It is good arrival, I want a strong tape. The tape itself adapts well to the uneven surface. It is difficult for the drawer to lightly break and the edge to break.